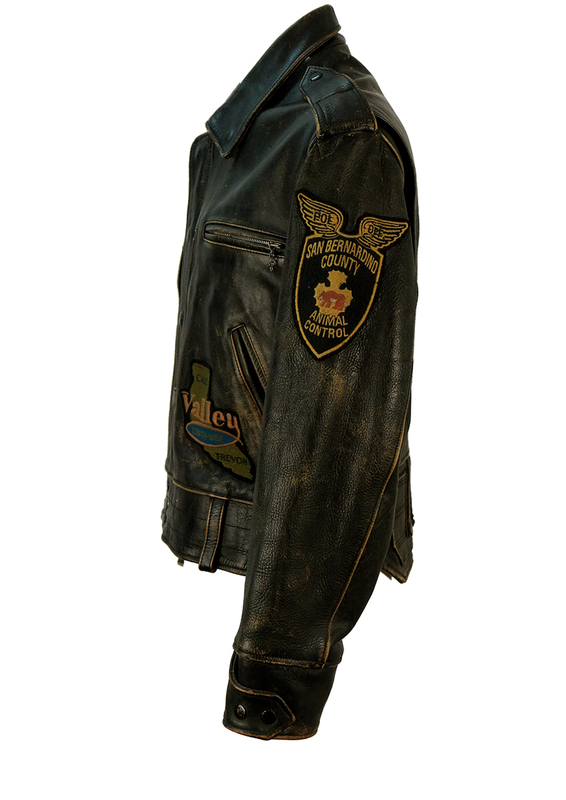 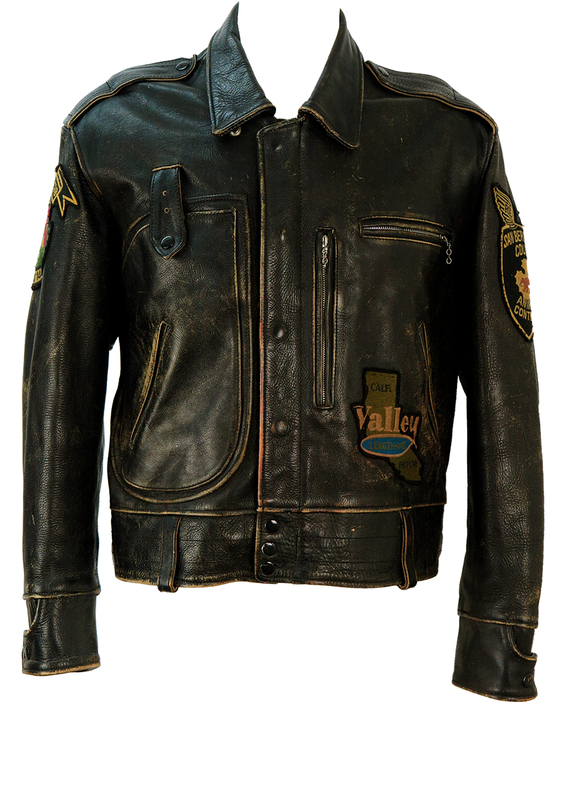 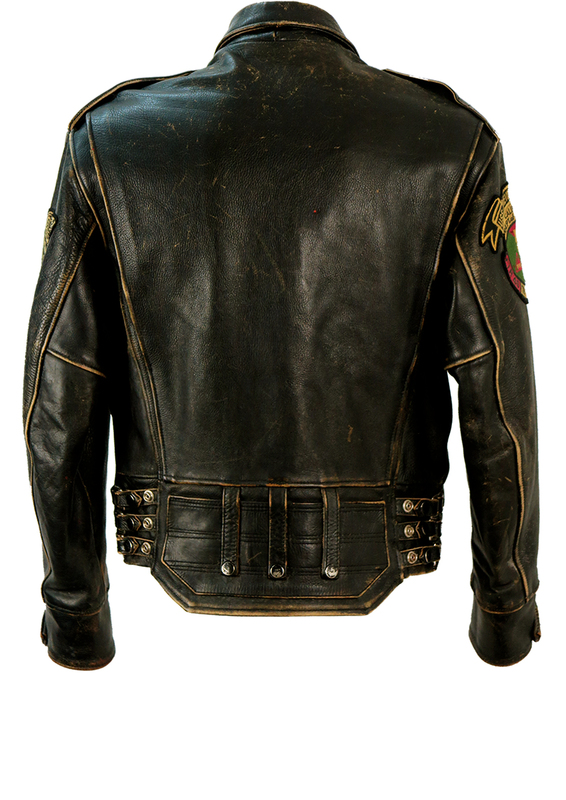 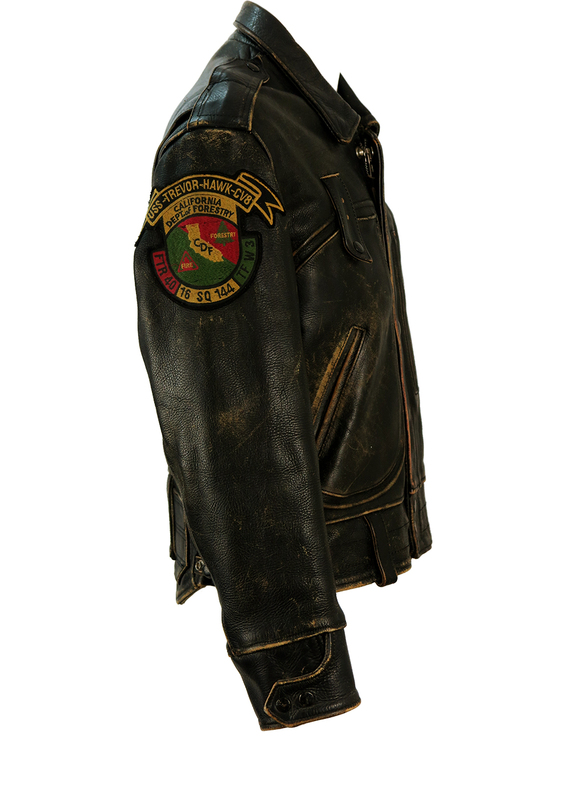 Vintage Lee Trevor black distressed biker jacket with graphic badges at the front and sleeves. 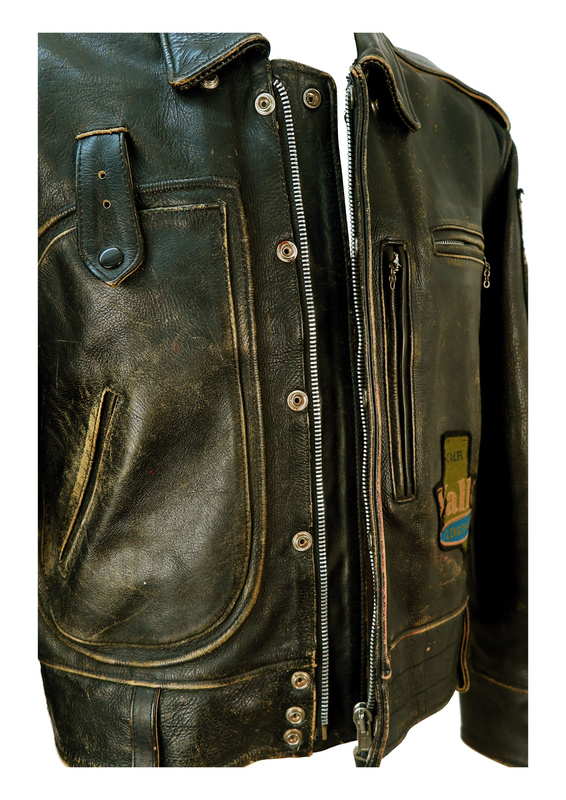 The jacket has great design touches which include a trio of adaptable stud fastenings at the waistband and cuffs as well as numerous front pockets and two inner seam pockets. 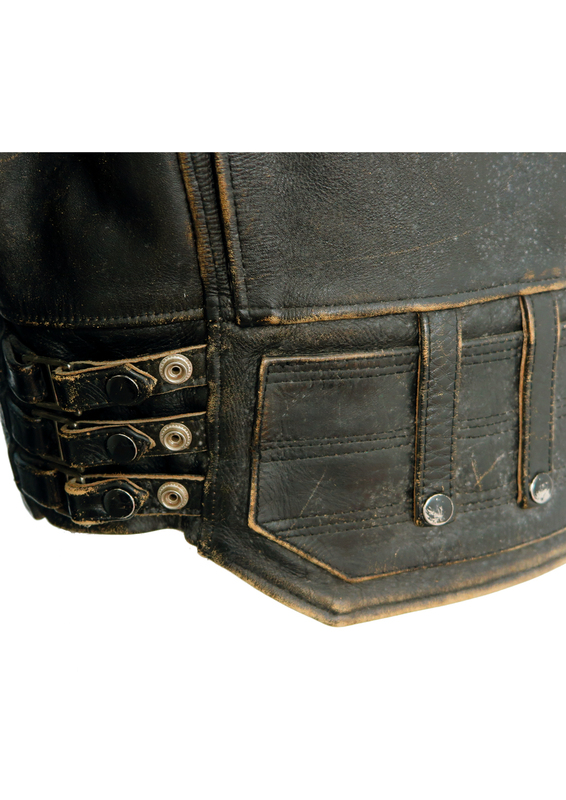 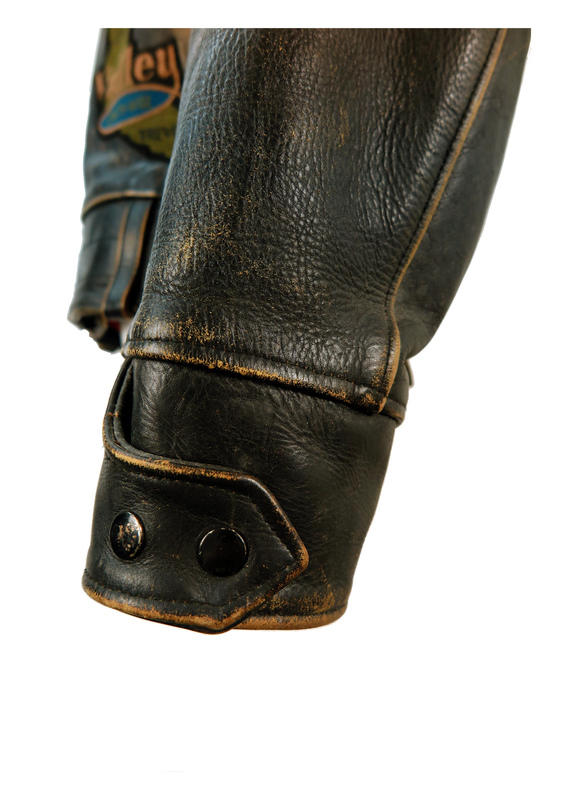 The jacket fastens via a concealed zip and leather overlay that closes via hidden press studs. 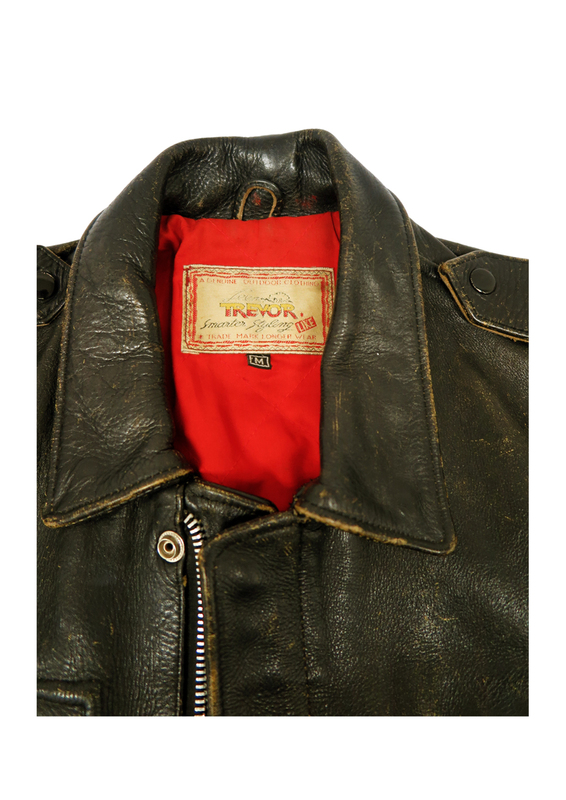 It has a slightly quilted red lining and a sizing label that states a size M.
Back – 24", Front – 22.5"